Many Musicians who perform live have had hip ailments. Rumor has it Prince needs double hip replacement surgery, but after conversion to Jehovah’s Witness he wishes to avoid the blood associated hip surgery. Another musician who struggled with hip pain Steve Perry, of Journey fame, ultimately had the hip replacement procedure. Perry was afflicted with hip problems at an earlier age, and it affected planned concert tours leading to his departure from the band. Many patients, especially those who have hip degeneration at younger ages wish to delay or prevent hip replacement surgery. Many have turned to Regenerative Medicine and Stem Cell Therapy. 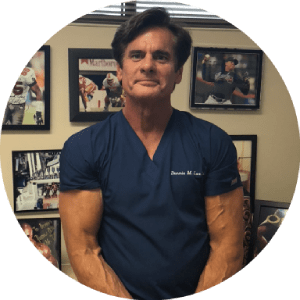 Regenerative procedures such as stem cells, harness the healing potential of the bodies own repair system to deliver regenerative potential in degenerative arthritis. Avascular Necrosis (AVN) has also been treated with Stem Cell Therapy. 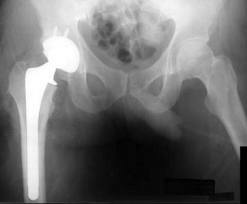 The ability to delay hip replacement in younger patients, or prevent further degeneration is a desirable goal. Degenerative arthritis tends to be progressive, and most agree early treatment is better, however their is no consensus on individual goals, especially with athletes. Rock performers who are active on stage will have accumulative stress on the hip, which may exacerbate pain and debility. Degenerative arthritis may be a secondary problem with Avascular Necrosis (AVN), complicating the treatment. Patients with AVN desiring to avoid hip replacement, have opted for stem cell treatment for this reason. Degenerative arthritis is affected by many factors including prior trauma. Addressing precipitant factors with a regenerative approach may provide the best opportunity for successful results and be an alternative strategy to hip replacement surgery.